A yummy and natural toothpaste for kids with organic fruit flavours which is safe to swallow. Free from SLS, Fluoride, preservatives, colour, sugar and Palm Oil. With minimal recyclable packaging. 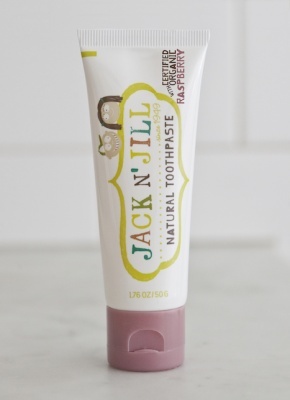 Jack n' Jill Natural Toothpaste is a natural kids toothpaste that is really yum and makes toothbrushing fun...for everyone! With a delicious range of certified organic fruit flavours, teamed with certified organic calendula, Jack n' Jill is mint free and safe to swallow! 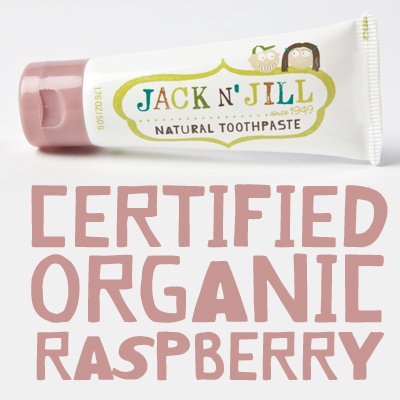 Jack N' Jill is a cruelty free company and their all natural toothpaste is vegan friendly.